The Internet contains an endless supply of information and its possibilities are endless. You can find answers to questions, learn about something you enjoy, communicate, make purchases and so much more. How many times while surfing the Web or using a mobile application have you felt annoyed by an event or occurrence that you didn’t expect? How many times have you felt frustrated or nervous when you faced too many obstacles in performing your tasks? This has happened to me on several occasions. In this article I want to share with you a list of three common mistakes that websites and apps make and how these affect users’ satisfaction (mine, at least). The first example we’re going to discuss is from the field of Games. Online games are a popular activity enjoyed by people of all ages. Some online games are played by visiting a website, but nowadays, thanks to the advancement of mobile devices, people can also enjoy games on their mobile devices. Let’s suppose that you would like to play your favorite football game on your awesome smartphone. 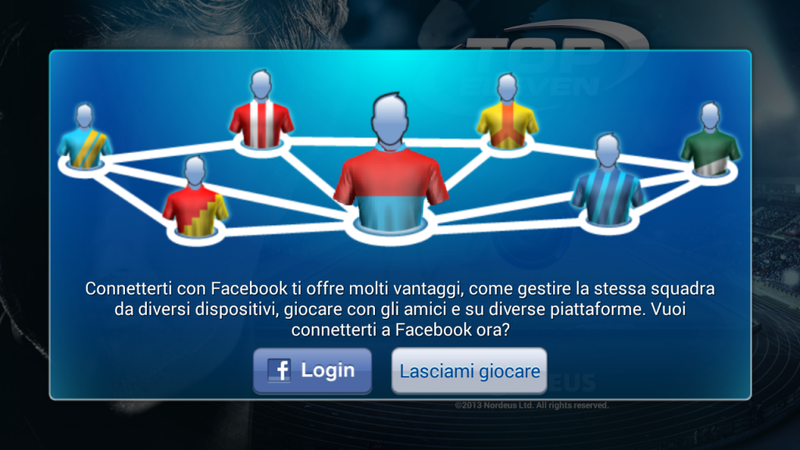 The first time you open it, the game asks if you want to login using a social network, for example Facebook, or start playing as shown below (sorry, the screenshot is in Italian). Facebook login offers you many advantages, such as managing the same team and playing with friends on different devices. Do you want to login to Facebook now? Then, you can choose whether to login or start playing. Personally, I don’t like to give my personal data unless it’s strictly necessary. Assuming you share my point of view and click on “Leave me playing”, you expect that the game has registered your choice and won’t ask again. Wrong assumption! This game (and many like it) asks if you want to login with Facebook or not every time you run the app. Even worse, there’s no way to avoid this question. Annoying, isn’t it? This example is one of the most common annoyances, but for many of us not the worst problem you can encounter. Now, imagine that you’re searching for a collection of photos of the town you’re visiting on your next holiday. You find a fantastic website that contains a wide collection of community uploaded videos and pictures. You want to have a quick view of the whole collection dedicated to the city of your choice, but when you click the link an unexpected suggestion appears. Its aim is to help you have a better experience since it has detected that you’re using a mobile device and you are invited to download their mobile application. The consequence is that you don’t have rapid and direct access to what you needed. This is annoying. This trend is followed by many services and companies and a real example involves LinkedIn, one of the best known professional networks. Not long ago, I was checking my inbox and I had received a newsletter containing some links of the most popular recent discussions on LinkedIn. Since I wanted to read these, I clicked on the link and waited for the page to load. 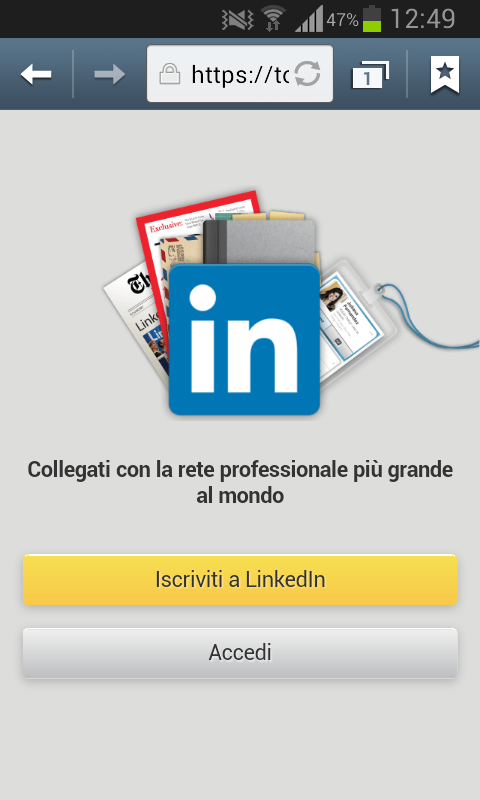 Since I was not logged to my LinkedIn account, I was prompted to log in or register. I clicked on log in, but instead of allowing me to enter my email and password, I was prompted to download the mobile app (with a very small link to a mobile version of the website). You can assume that this is not only a great loss of time, but once again, annoying! 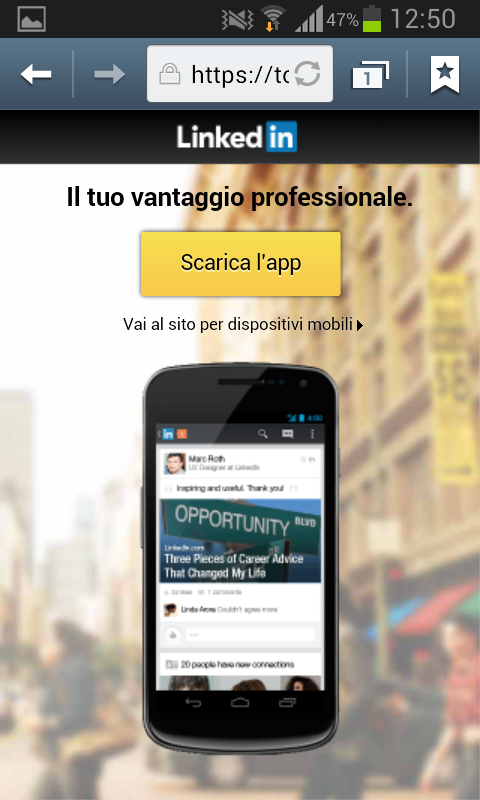 The last example I want to mention concerns the most well-known social network of history, Facebook. The feature I’m going to discuss isn’t a new one, I’m sure that you’re aware of what’s probably one of the worst features introduced by Mark Zuckerberg’s team. I’m talking about video auto play. Facebook introduced auto playing videos and video ads last December. The new feature automatically plays videos without sound on both desktop and mobile as soon as they appear in your news feed. Then they are paused if you continue scrolling and disappear from the screen. If you tap the video, it will play in full-screen mode with sound. When Facebook first confirmed auto play videos, it said there would be no opt-out setting. If you weren’t interested in viewing a video, it suggested you just scroll past it. There are many users that find this feature really annoying (myself included) and it has been highly criticized as you can see from the many discussions started by the Facebook Help center community. Nevertheless, the same mistake is made by Instagram (acquired by Facebook), the most famous online video sharing service. If you open your Facebook timeline or Instagram account on your mobile device and someone has posted a video, it is loaded and played automatically, even if you’d prefer not to watch it. This can be especially annoying if you’re in a situation where you need to be quiet. Recently Facebook has given its users a choice if they want to take advantage of this feature or not. They can change the default settings to set if they don’t want the videos to play at all or whether they are played on Wi-Fi only. Here’s the bad news. You have to turn off the videos separately on each device you use. In fact, if you opt out on the desktop version of Facebook, your preference won’t be carried over to your iPhone or Android device. You must visit the settings page on each device to make the change, and that’s something else that annoys users! It would be in the interests of companies to allow people to vote on its new features and let them control how and what they want to see, since everyone will have a different opinion. Personally, I feel the best approach is the one that takes into account users’ experience and needs. In this case, Facebook could have avoided all the criticism received if only it had asked for feedback from its users. In this article I’ve discussed events or features that annoy users and that, in my humble opinion, make users’ experience worse. Users’ experience should be one of the first things that developers pay attention to. Every choice should be made considering users’ feedback, suggestions and criticisms. If the aim is to make users happier or more engaged with the services the website/application offers, why introducing features that annoy them and make them leave? New features should always be tested (A/B tests are your friends). Secondly, the rule of “Keep it simple” is valid, users want to satisfy a need and the sooner they achieve their aim, the better. Don’t make them feel unsatisfied, and above all, don’t annoy them with useless features or waste their time.